Sixth nerve palsy also referred to as a lateral rectus palsy, cranial nerve VI palsy or an abducens palsy is a weakness or temporary paralysis of the nerve that transmits nerve impulses to the lateral rectus muscle. The lateral rectus muscle is one of the six eye muscles that control eye movement. The lateral rectus muscle mainly acts to pull the eye in the outward direction, keeping the eye in the center away from the nose or to pull the eye outward, toward the temple. With sixth nerve palsy, a person may see double. Elevated pressure in the brain is a sign of pseudotumor cerebri, a condition diagnosed most often in young, overweight females where the pressure inside the brain increases significantly. This rise puts pressure on the nerve and creates a sixth nerve palsy. In older individuals, the most common cause is cardiovascular in nature. Many people who suffer from a sixth nerve palsy have a small stroke to the eye muscle where it does not get enough blood and begins to function incorrectly. Conditions such as diabetes, high blood pressure or high cholesterol are known culprits. Many people who suffer from a sixth nerve palsy will have an esotropia. An esotropia is a condition in which the eye crosses inward toward the nose. The eye turns inward because the lateral rectus fails to keep the eye centered by pulling the eye outward toward the midline. The esotropia tends to be more pronounced when the person looks at a distance as opposed to near. Patients may also complain of double vision. When a sixth nerve palsy comes on suddenly, patients may experience double vision. Children who have a lateral rectus palsy tend to compensate better and the brain suppresses the images so that only one is seen. One risk of the brain compensating in this matter is amblyopia. Amblyopia, also referred to as lazy eye, can develop because one of the images is being suppressed. Because of this, that eye is not being used by the neurological system and does not develop properly. Treatment of a sixth nerve palsy depends on the cause. As mentioned earlier, cardiovascular diseases such as diabetes or hypertension can cause a sixth nerve palsy. These types of palsies tend to resolve within six months on their own. Sixth nerve palsies caused by trauma may get better but do not typically resolve completely. Sixth nerve palsies caused by conditions such as pseudotumor cerebri resolve when the intracranial pressure is reduced to normal. Botox or botulinum toxin injections are also used as treatment. Interestingly, the injection is made in the medial rectus muscle, the muscle opposite to the muscle of the lateral rectus. This allows the eye to be more easily pulled toward the center by a healing sixth nerve and has been shown to speed recovery. The simplest way to eliminate double vision is to cover or patch one eye. This is accomplished easily in adults, but patching one eye of a child for long periods of time can increase the risk of developing amblyopia. Prism correction is prescribed for most patients. A type of sticky press-on prism called Fresnel prism can be applied to eyeglass lenses to eliminate the double vision in primary gaze (straight ahead gaze.) 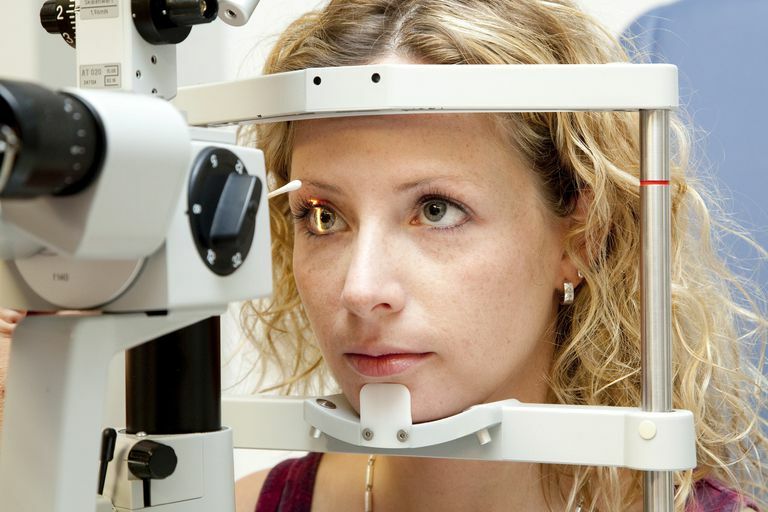 Because the misalignment may be variable, double vision may still be experienced in right or left gaze. The amount of Fresnel press-on prism can be reduced as the degree of the palsy becomes less and less. Neuro-ophthalmology, 2nd Edition, T. Liu, G., Volpe N.J., Galetta, S.L, 2010.